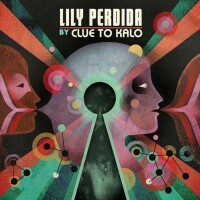 You could reasonably describe Clue to Kalo’s Lily Perdida as a concept album, except the actual concept of the album owes less to other story albums and more to old who’ll-do-it crime novels like Jim Thompson’s The Kill-Off; nothing explicitly happens, but plenty is discussed about things that have already happened (or eventually will). Not content to make simple art rock or dabble in literal narrative, Clue to Kalo have actually elevated the form to something resembling magazine profile rock: ten meditations on the fictional life and death of the titular Lily Perdida, all told by those close to her and those she simply crossed paths with. Semantics aside, Lily Perdida finds Aussie singer and songwriter Mark Mitchell and his seven co-bandmates utilizing some very quirky pop songwriting and old-fashioned vocal harmonies to create a sound best described as Vaudevillian alt-rock. One minute, the slide whistle and piano of “User to a Carrier, by the Sister” augment the layered male/female dueting, and the next the bouncy electric piano and xylophone shuffle of “It’s Here the Story’s Straight, by the Peers” set up a remarkably complex horn and vocal arrangement in the chorus. Later, “Of Him on Her Heels, by the Narrator” almost brings to mind some of Jeff Buckley’s post-Grace work, although Buckley never made a chorus as catchy and simple as this. Considering the usually pretentious and overly serious nature of concept, conceptual and story albums, Lily Perdida‘s mostly lightweight sound seems to run counter to what most listeners would equate with such an ambitious work. At the same time, the entirety of Lily Perdida clocks in at a mere forty minutes; in a format where any number of bands wouldn’t hesitate to use those forty minutes for just three songs, Mitchell’s lean songwriting helps to bring the idea of a concept album back to earth a bit. Ultimately, these things simply bring the paradoxical nature of Lily Perdida front and center. It’s a serious endeavor, but executed gleefully. It’s a story album without a story. It’s an epic project of miniscule scope. It’s a concept album that’s really more of an exercise in creative non-fiction, and throughout most of the album the lyrics are so heavily layered, doused in reverb and pushed back in the mix, that most listeners wouldn’t realize these songs were connected were it not for the song titles telling them they were. Abstractions notwithstanding, Clue to Kalo have created a remarkable pop album. The xylophones ring while the horns and drums swing, the guitars clang and the drums bang and the rest, as the saying goes, is just details. Interesting details, but just details all the same.